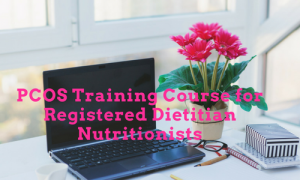 Angela Grassi, MS, RDN, LDN provides one-on-one supervision to registered dietitian nutritionists (RDNs), nurses, health coaches, and other health professionals to improve their nutrition counseling skills and confidence in working with women with PCOS. As an experienced PCOS nutrition expert, Angela will guide you on your individual cases to improve your relationship with your patients and maximize their health and fertility. Meetings are set up on your schedule in person, on the phone, or Skype and generally last 45 minutes. Now Enrolling Through July 11th! The most comprehensive online education for RDNs treating patients with PCOS. Feel more confident and capable working with women with PCOS. Approved for 15 credits.20 patient handouts. Lifetime access.